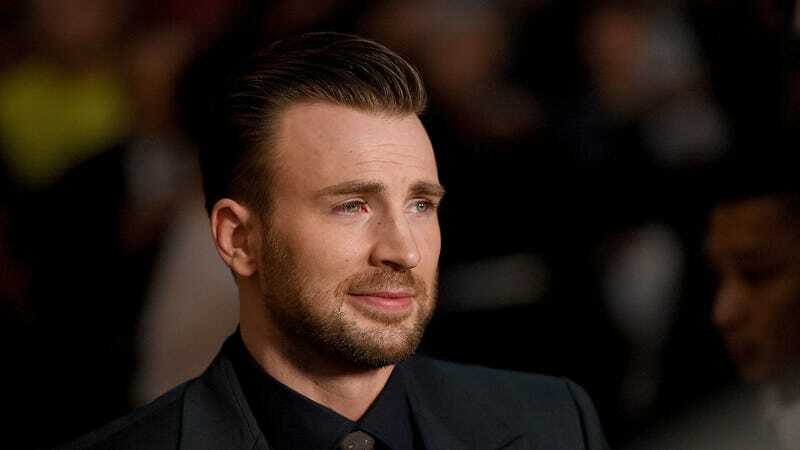 Chris Evans, who, by virtue of being an actual golden retriever, remains the best of our famous Chrises, will join Daniel Craig in Rian Johnson’s Knives Out, a murder mystery he penned in the style of old Agatha Christie murder mysteries. This news comes hot on the heels of Evans tweeting out what definitely sounds like a farewell to the Marvel universe, sparking plenty of speculation that Avengers 4 will be the actor’s last outing as Captain America. Knives Out is already drawing ample buzz, as Deadline reports that Media Rights Capital quickly scooped up the world rights at TIFF, the company’s executives calling it “such a fun, inventive and entertaining film.” It’s a smaller, quirkier project for Johnson and Craig, who will both soon return to the high-stakes worlds of Star Wars and James Bond, respectively. That probably sounds like heaven to Evans, who’s long seemed worn the hell out by the studio system. Craig will play a detective in the mold of Christie’s Hercule Poirot in Knives Out, but the nature of Evans’ role remains unknown. Fingers crossed that he’s the villain; this good boy’s been wholesome for far too long.